A parent whose child is subject to an application for a care order under Children Act 1989 s.31 is automatically entitled to legal aid, irrespective of means. Not so a parent whose child is living at home under a care order and who wishes to challenge a local authority's proposal to remove the child. Here are two parents who are beset by problems and face the possibility of their child being adopted. They do not qualify for legal aid and lawyers have acted for them without remuneration (pro bono). 'What I have to grapple with is the profoundly disturbing fact that the parents do not qualify for legal aid but lack the financial resources to pay for legal representation in circumstances where, to speak plainly, it is unthinkable that they should have to face the local authority's application without proper representation.' [My emphasis]. The EU Referendum Bill has been "killed off"
Amid various political shenanigans within the coalition government, the EU Referendum Bill has been "killed off" - Telegraph 28th October. The Bill was discussed in the Law and Lawyers post of 19th October. The German Chancellor - Angela Merkel - stated that she would not support changing the fundamental EU policy of freedom of movement of individuals though she was prepared to support some reform to welfare benefit claims by migrants so as to try to prevent abuse - Reuters 25th October. 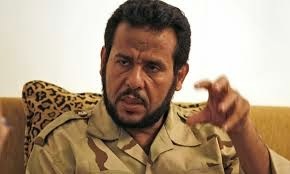 The Court of Appeal (Civil Division) - Lord Dyson MR, Lloyd-Jones and Sharp LJJ - has affirmed the right of Mr Abdel-Hakim Belhadj – an opposition commander during the Libyan armed conflict of 2011 and now leader of the Libyan Al-Watan Party – and Ms Bouchar, his wife, to pursue a claim in the domestic courts against the UK officials allegedly involved in their abduction from China through Malaysia and Thailand and their transfer to Libya. 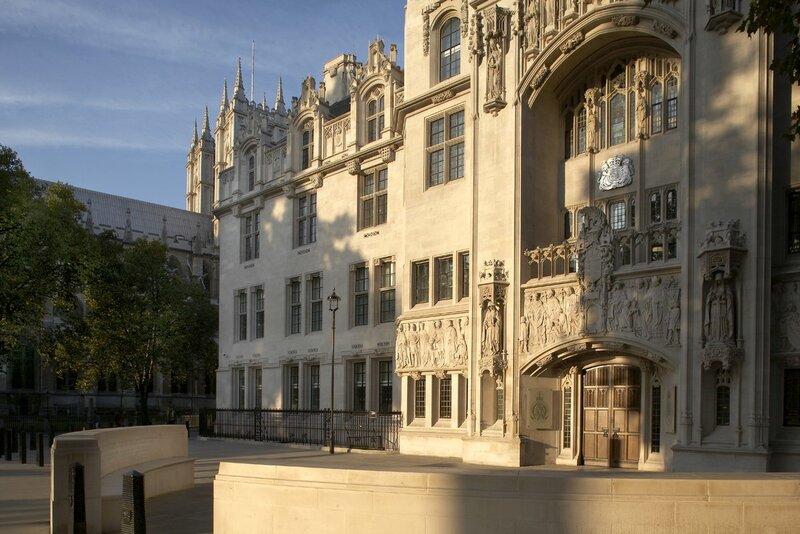 The Court stressed that a failure to allow UK courts to consider the complaint would unacceptably result in a denial of a legal remedy for very grave allegations of human rights violations. The Court dismisses the view that the risk of displeasing other States could outweigh the imperative of providing access to justice to victims of such alleged violations. A summary of the court's judgment and the full judgment are available on the Judiciary website or Bailii at  EWCA Civ 1394. 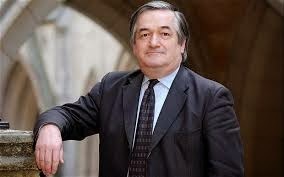 The appealed judgment of Simon J in the High Court is at  EWHC 4111 QB. See also JUSTICE - Court of Appeal confirms access to court in torture cases. JUSTICE was one of six interveners in the case. The submissions of the interveners may be seen via REDRESS. 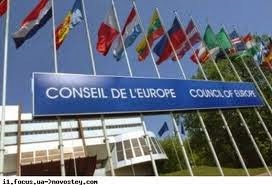 It is not just all things "Europe" in the cross-hairs of the present government. An important bit of the common law has also come under attack. Today, it is called Judicial Review a term which came into use following some important changes to procedure introduced in 1977. The common law had developed the principle that all public authorities (including the government itself) are liable to have the lawfulness of their acts and decisions tested before the courts. The power of judicial review rests with the High Court ( and, to some extent, with the Upper Tribunal). Decisions can be appealed to the Court of Appeal and Supreme Court. At the heart of judicial review lies the notion of the rule of law so that official decision-makers possess only those powers bestowed on them by the law. It is the independent judiciary who interpret the law though Parliament has the final say on the law itself. 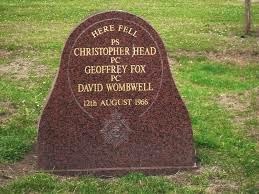 In 1966, at the Central Criminal Court, Harry Roberts was sentenced to life imprisonment for each of the murders of three Police Officers - Police Constable Geoffrey Fox, Detective Constable David Wombwell and Sergeant Christopher Head. The trial judge (Wyn-Jones J) made a recommendation that he serve a minimum of 30 years imprisonment. The judge also expressed the opinion - "I think it likely that no Home Secretary regarding the enormity of your crime will ever think fit to show mercy by releasing you on licence." In a decision condemned by the Police Dependants' Trust, the Parole Board for England and Wales has decided that Roberts may be released - The Independent 23rd October 2014. Several recent post have looked at various aspects of human rights and its protection in the UK. This is an absolutely vital area of law and one where there is a clear political schism as to the future of human rights law in the UK. Barrister Adam Wagner of 1 Crown Office Row has kindly made available this excellent infographic showing the basic system of human rights protection in the UK as it is at present. The Labour Party position appears to be set out in the short conference speech by Sadiq Khan MP (Shadow Justice Secretary) where Khan indicated that his Party would block attempts to abolish the Human Rights Act 1998. Update 31st October: Amid various political shenanigans within the coalition government, the EU Referendum Bill has been "killed off" - Telegraph 28th October. In his recent speech to the Conservative Party conference, David Cameron referred to renegotiating British terms of membership of the European Union. He said - "... we’re going to go in as a country, get our powers back, fight for our national interest ... and yes – we’ll put it to a referendum … in or out – it will be your choice ..."
The Conservative Party is supporting a Private Members Bill to enable a referendum to take place at a date to be appointed but no later than the end of 2017. It would ask - "Do you think that the UK should be a member of the EU." The Private Member who introduced the Bill is Robert Neill MP. He said that it was not a bill about whether we should, in the longer term, stay in or leave the EU. It was an opportunity for people to have a say. At least on the part of the Conservative Party, there seems to be a political commitment to renegotiation of some aspects of the UK's membership. Presumably, the electorate would be presented with information about what the renegotiation had actually achieved. 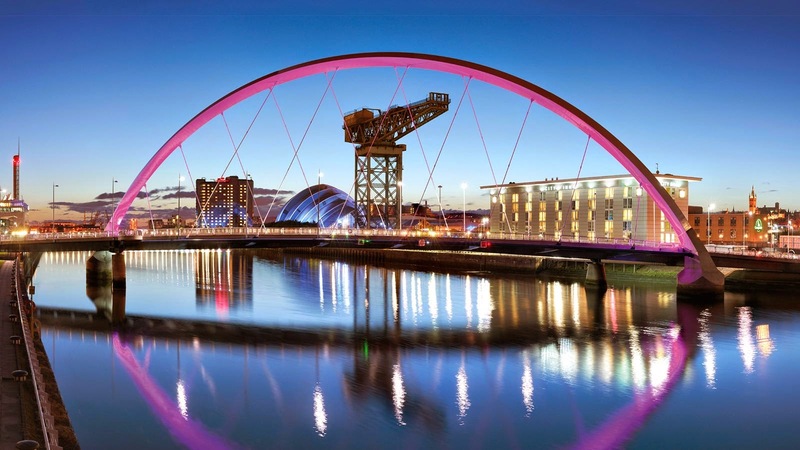 The West Lothian Question ~ a few thoughts ! The so-called West Lothian question is a political and not legal question. 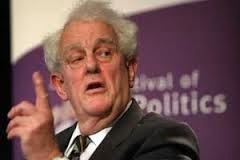 It was asked as long ago as 1977 by Tam Dalyell MP who represented West Lothian from 1962 to 1983 and Linlithgow from 1983 to 2005. The question asks whether MPs from Northern Ireland, Scotland and Wales, sitting in the House of Commons of the United Kingdom, should be able to vote on matters that affect only England. In the immediate aftermath of the Scottish Independence vote, the Prime Minister said: "So this is my vow: English votes for English laws. The Conservatives will deliver it." Voting on matters that affect only England may be a different issue to voting on laws affecting England only. In other words, much might depend on how the West Lothian question is actually phrased ! Let's leave those semantics to one side. A "Constitutional Convention" to address further reform? The President of the Supreme Court of the United Kingdom (Lord Neuberger) has delivered a couple of rather interesting speeches. Please read them in full. The Conkerton Lecture is essentially Lord Neuberger's look back at the first 5 years of the Supreme Court of the UK. He looks at several of the cases the court has decided and appeared keen to put the record straight in some areas where there has perhaps been misrepresentation of the decisions of the court. For example, speaking of Smith v Ministry of Defence  UKSC 41, Lord Neuberger pointed out that the claimant's criticism about provision of equipment for the armed forces was aimed at civil servants in the Ministry and not at battlefield commanders. For Lord Neuberger, rights such as those embodied in the European Convention on Human Rights are fundamental to the rule of law, particularly in a time of ever-increasing government powers. However, Lord Neuberger commented that reliance on the convention has rather hampered the development of the common law which was (and is) open to receive new ideas and concepts. Here, by way of comment, it may be noted that the Human Rights Act 1998 opened up a new toolbox for lawyers to use and common law approaches have perhaps been sidelined to some extent - (though it was necessary to use the Act to test human rights arguments). The common law can be static unless and until an appropriate case arrives at a court with the authority to alter the law. It is certainly not a dynamic mechanism for securing rights. In this post I offer some comment on the Conservative Party's document "Protecting human rights in the UK" It has attracted an enormous amount of critical comment already (links at the end). There is clear dislike (even hatred) by certain Ministers of the European Convention on Human Rights (E Conv HR); the European Court of Human Rights (E Ct HR) and the UK's own Human Rights Act 1998 (HRA 98). This attitude undoubtedly stems from the simple fact that the system of human rights protection acts as a check on Ministerial (executive) power. It exists to protect the individual - ALL individuals - from the untrammeled power which the State might otherwise exercise. It appears that Ministers think it is best to water down or remove the existing protections whilst, if they can, maintaining a facade of adherence on the international scale. The Conservative Party's document "Protecting human rights in the UK"has attracted a mass of comment. It sets out the Party's plans for the human rights protection of the British people in the event that the Conservative Party is able to form a government in 2014. A certain vision of the relationship between every citizen and the State is set out. It is worth reminding ourselves of some legal facts as opposed to the "spin" adopted in some political and media quarters. 1. 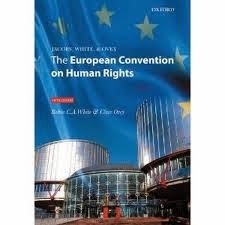 The European Convention on Human Rights (E Conv HR) came into force in 1953 with the United Kingdom being among the first signatories. British lawyers were involved in its preparation. It was NOT forced on to the UK. It's an interesting read. How much of it will actually influence the course of a future government remains to be seen. There is a possibility that yet another coalition might emerge from the 2015 general election. 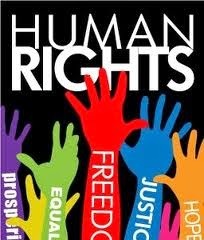 Protecting Human Rights ! Don't make me laugh ....! 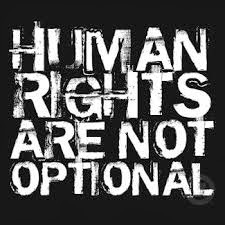 It is a huge pity that we must take the Conservative Party's document "Protecting human rights in the UK" seriously .......... but, we must! A considerable number of notable bloggers and commentators have already offered their analyses of it (e.g. Liberty) and they are mostly impressed only by the fact that it is legally illiterate. It is a plan to do anything but protect human rights. Rather it is a plan - should there be a Conservative government with a sufficient majority to force this through Parliament - to enhance the power of the executive and to weaken protections given in law to citizens. The British citizen could end up with less human rights protection in domestic law than the citizen of (say) Germany. But wait ! It might even be that the English citizen will end up with less protection than those living under the devolved administrations of Scotland, Wales and Northern Ireland. That's because those administrations may well choose not to accept this policy on behalf of their citizens. A fuller look at this dog's dinner to follow ...............! 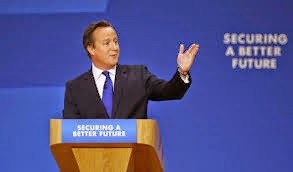 On 1st October, Prime Minister David Cameron delivered his speech at the Conservative Party conference in Birmingham. As expected, the speech ranged over the whole gamut of government policy and contained a number of "promises" which may be delivered during the next Parliament if there is a Conservative majority government. Cameron was clear enough in saying that much will depend on deficit reduction and it was plain that further spending reductions will be required. Cameron referred to cuts of some £25 billion in the next two years. The criminal justice system and other legal areas will undoubtedly have to carry their share of this. See FULL text of speech. As widely expected in legal circles, the speech contained headline statements about the European Union (EU) and the European Court of Human Rights (E Ct HR).
" ... we’re going to go in as a country, get our powers back, fight for our national interest …… and yes – we’ll put it to a referendum …… in or out – it will be your choice…"